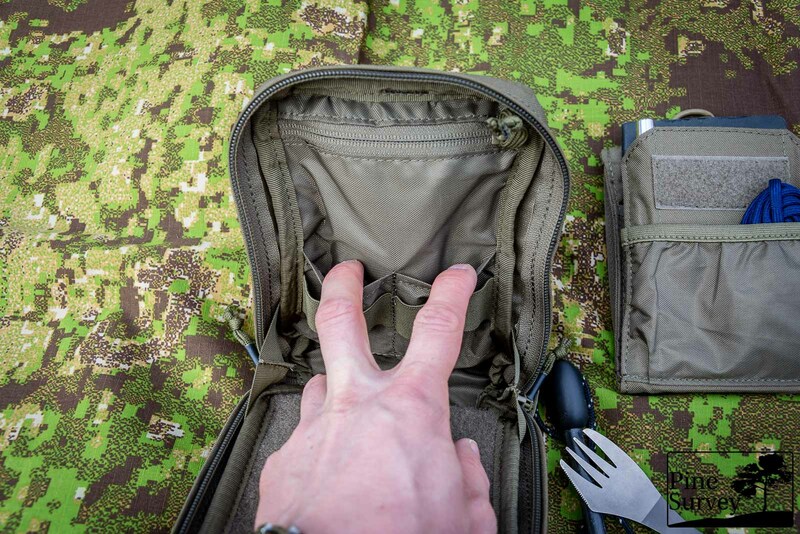 The Urban Admin Pouch is an organizer pouch with several features like a removable wallet/organizer, an expandable pocket in front, various slots and pockets as well as MOLLE compatibility. 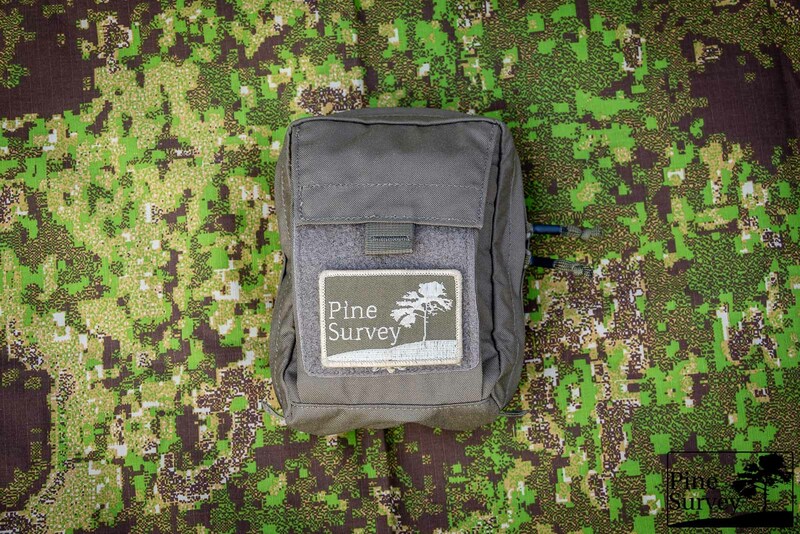 It comes in several colors ranging from subtle solid colors to military grade camouflage patterns in order to use the pouch as an admin pouch on vests and packs. 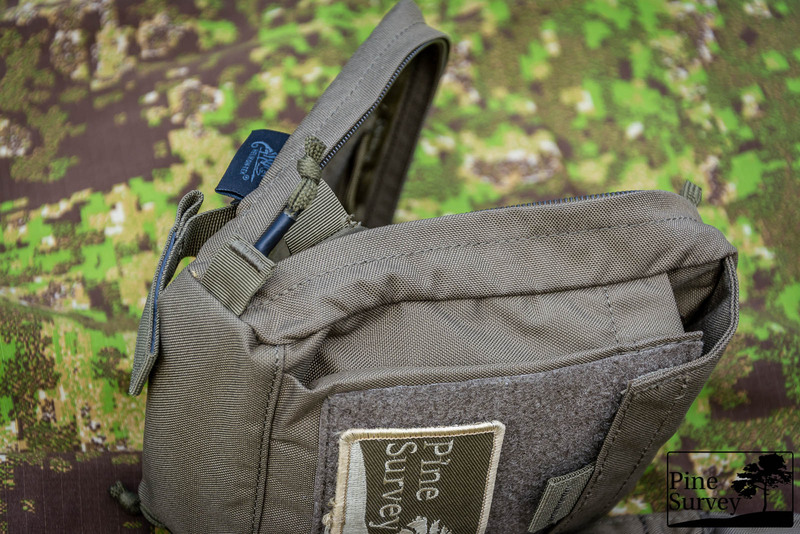 The pouch in this review features the color “Adaptive Green”, a Coyote type color with a green character. 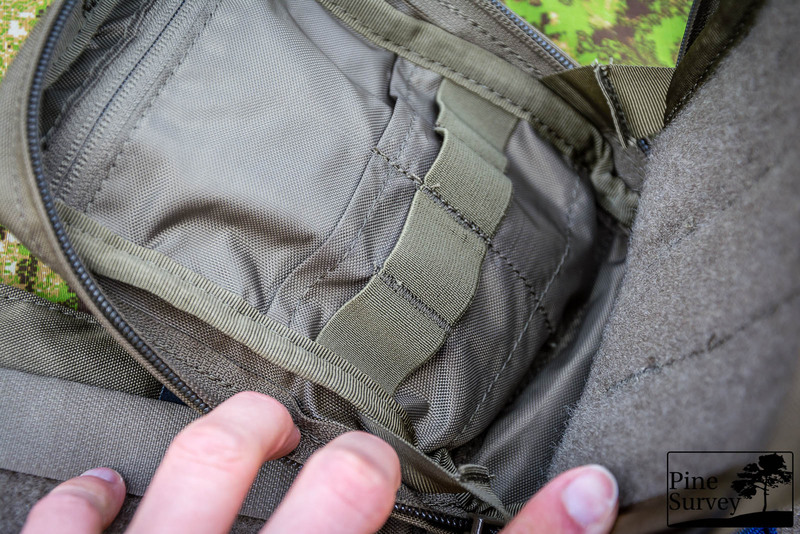 The front of the Urban Admin Pouch features an expandable pocket with a large area of velcro in the front. This not only serves the purpose to close the pocket with a velcro flap, but also to attach insignia or other patches for identification on it. 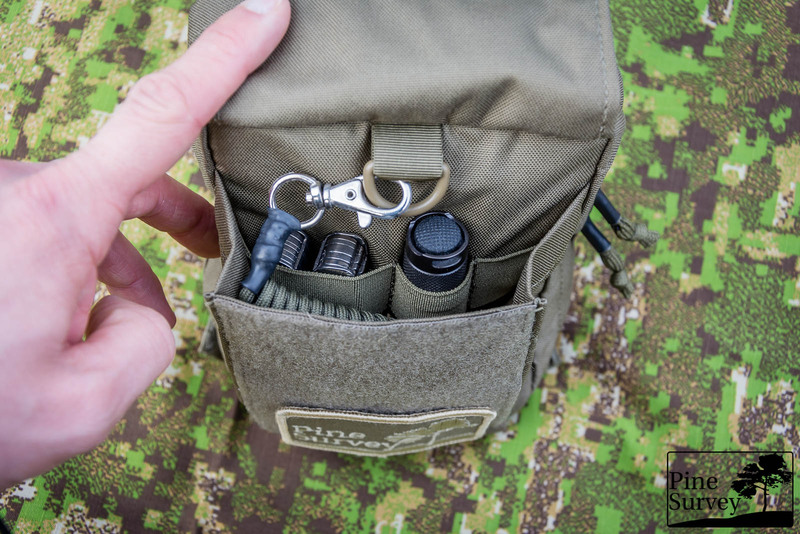 On the inside of the expandable pocket you will find a D-Ring for attaching lanyards or other gear, as well as one strap of elastic webbing which is divided to two small (3 cm) and one large (6cm) loops to secure your gear (lamps, pens, tools). 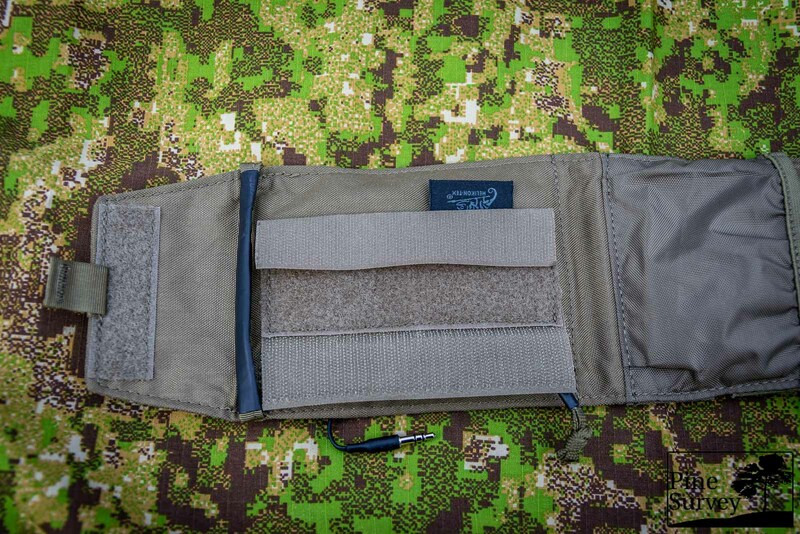 The backside features a large MOLLE section of 4 rows of webbing with 3 channels each. 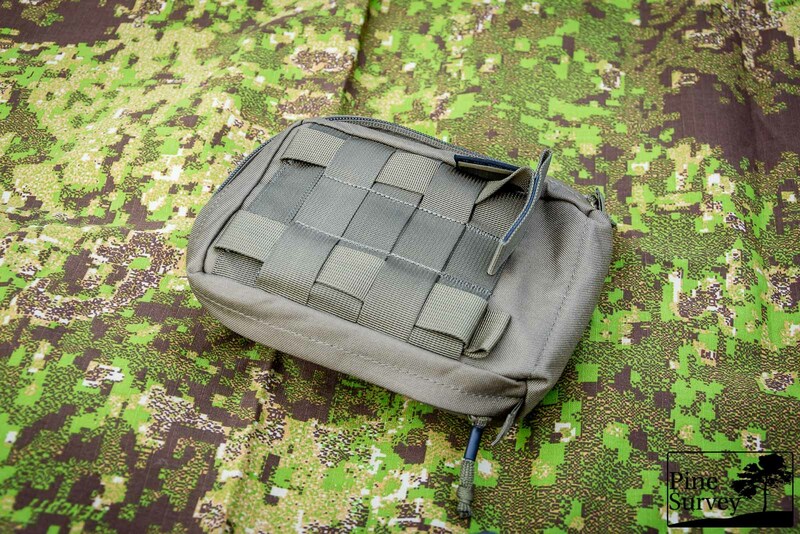 Straps to attach the pouch to another MOLLE platform are included on the pouch, sewn on with steady bartack stitches on another row of webbing. 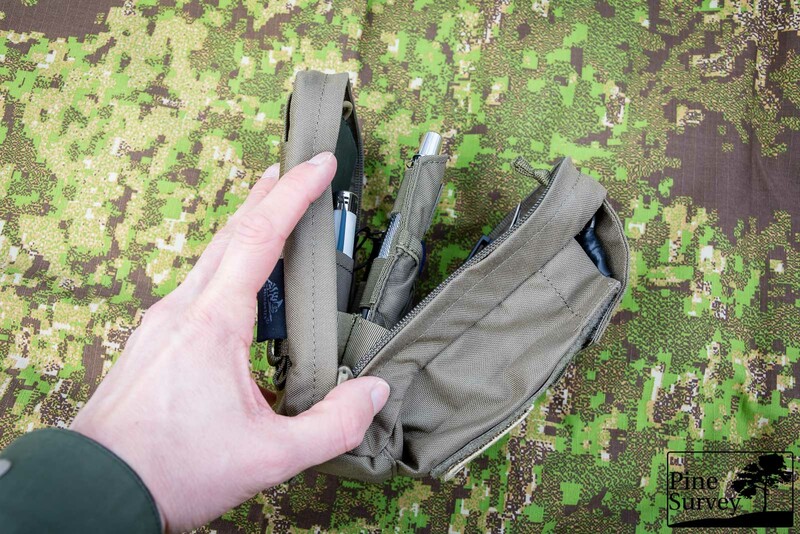 Having in mind that you always weave a MOLLE attachment system alternating above and underneath the available webbing, Helikon-Tex could have saved itself the trouble of adding two of the four rows. 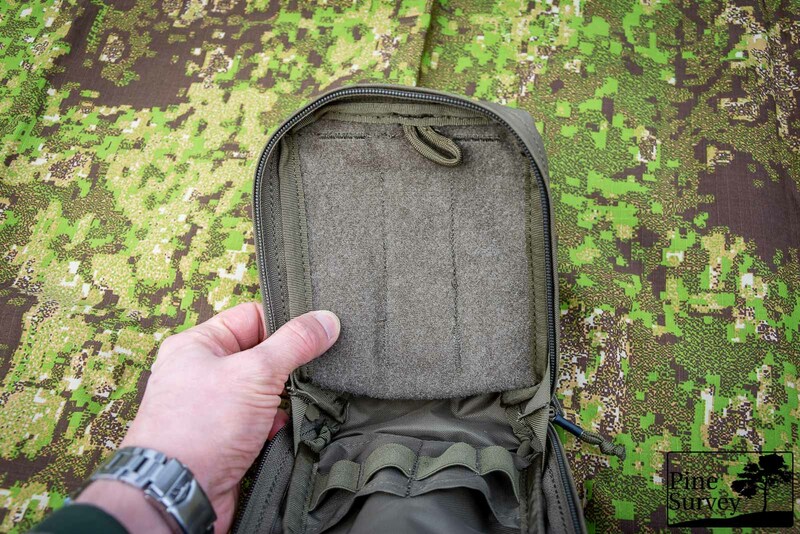 They are simply not necessary and this way it would be easier to attach the MOLLE as well as saving webbing and a little bit of weight. To secure the strap you can push the reinforced end back under the webbing. It will secure itself and is rattle free. No push buttons or velcro needed. The pouch is a clamshell design and opens up completely to the bottom. A foldable strap of webbing each on the sides was put in place to stop the pouch from completely opening. This way it stays open in a 45° angle. To the front the pouch offers two slots which are 6,5cm deep and 6cm wide. Additionally there is one row of elastic webbing sewn on top of these slots, giving you four loops to secure material. On this interior side of the pouch you can also find a pocket which is closed by a zipper. Its depth covers the whole front of the pouch. 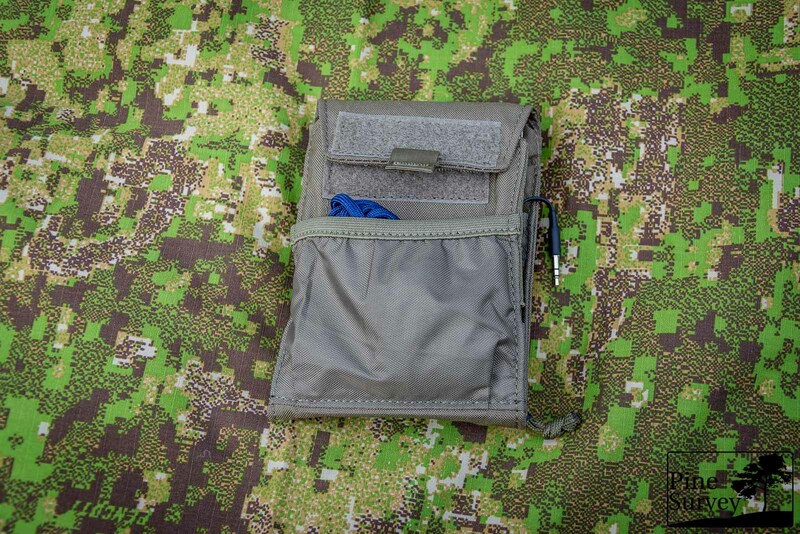 The back of the pouch compartment is lined with velcro. On this area you can either attach the removable organizer which comes with the pouch, or your own optional accessoires. 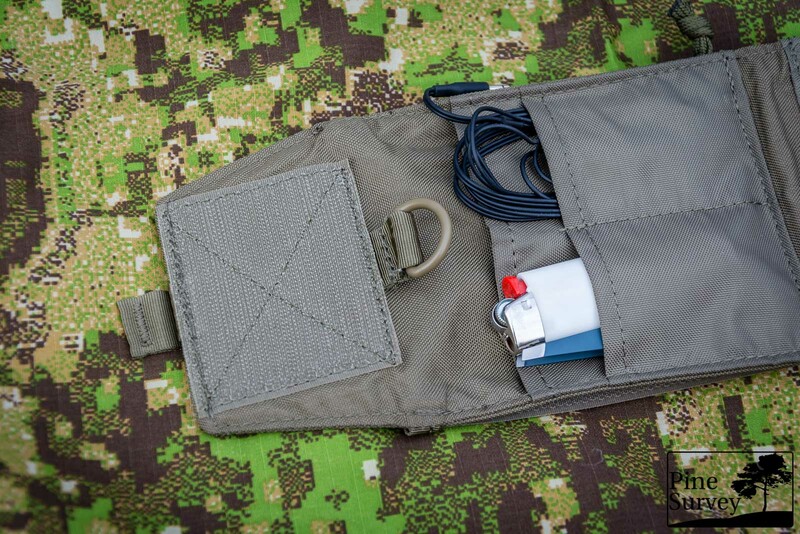 At the upper side you will also find a Paracord loop to attach lanyards, keyfobs or gear keepers. The removable organizer can be used in several ways. Either as an internal divider and organizer, or as a wallet for your everyday use. It has an elastic pocket on the front and a velcro area to close it. On top of the flap you will find another velcro area to attach a name tag or other identification tags. The back features a velcro area to secure the wallet/organizer on the inside of the Urban Admin Pouch. It can be folded and attached to itself in order to make the velcro inoperative. Next to it you will find a pocket which can be closed by a zipper. When using the insert as a wallet, this is the safe way to store your coins. 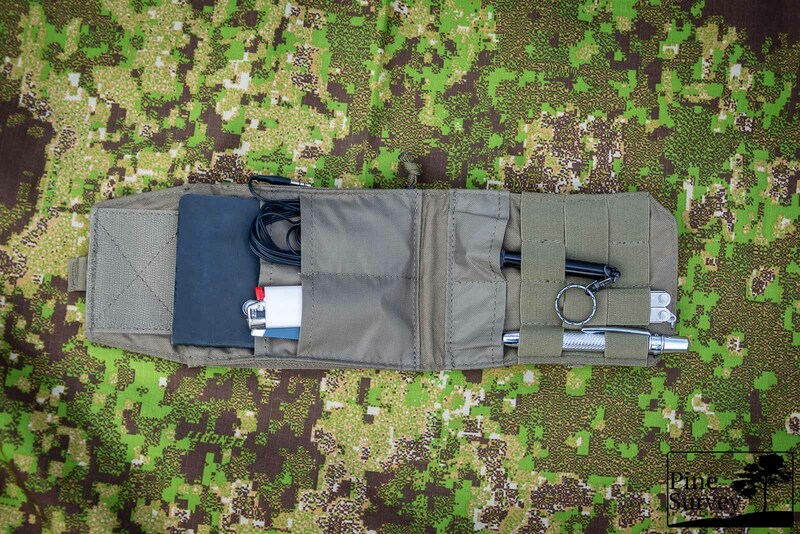 On the inside a large slip panel (10cm x 10cm ) with two additional slip panels (7cm x 5,5cm) on top, as well as an organizer panel with elastic loops: three rows of elastic webbing with two rows being divided to four loops and one row of two loops. At the bottom of these loops you will find small slip panels to secure the tips of your pens or tools. Next to the velcro area, which is used to close the wallet, you will find a D-Ring. Another interesting feature is a grabbing handle made of folded webbing, which is also reinforced by tubing. That way you can easily put the wallet/organizer into the pouch (be it the main compartment or outer expandable pocket) and grab it quickly. 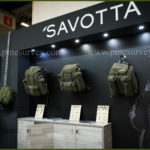 The choice of materials cannot be criticized indeed: Cordura fabric, ykk zippers and real paracord were used for the pouch. Stress areas were reinforced with either several rows of stitching or bartack seams. There are an average of 3 stitches per centimeter. The overall look of the pouch is clean and sturdy. There are some singed areas at the paracord where the tubing was put in place, but this is just a visual observation. Some loose seams can be found as well, but nothing you couldn’t correct yourself with a scissor and a lighter. 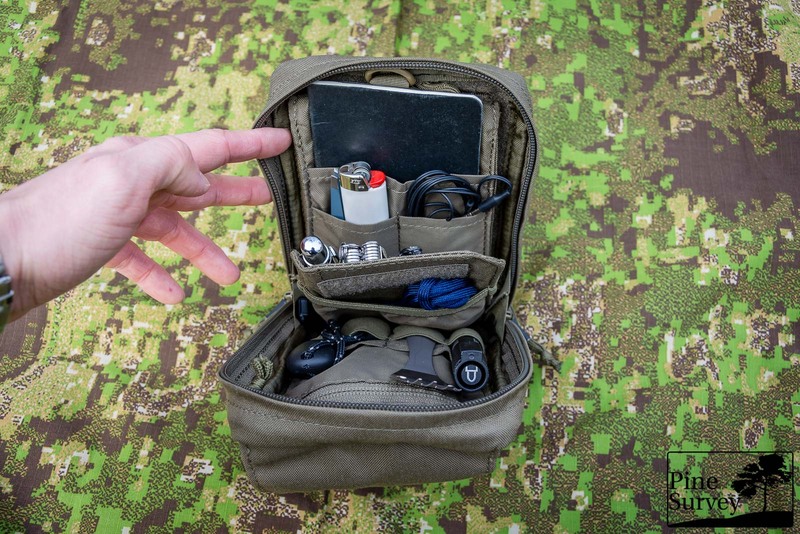 All in all the Urban Admin Pouch is an interesting attempt of combining a general purpose/organizer pouch with a wallet. In order to accomplish this, Helikon-Tex had to accept some trade-offs. 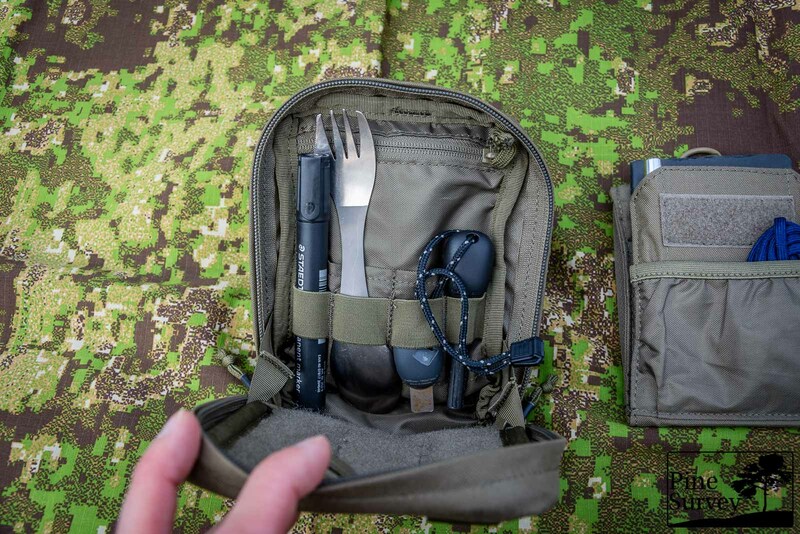 Especially when using the wallet insert as a divider and organizer, the pouch gets stuffed pretty quickly without being able to use all of the organisational features. At the same time the use as a wallet is limited because the organisational features are taking up space for classic wallet features. If Helikon-Tex would make the pouch 6 or 7 cm deep instead of just 5, some of the volume issues could be resolved. 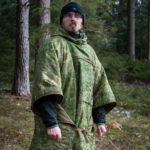 At the same time the slip pockets could use more depth. Having this points in mind, it is fair to say that Helikon-Tex came up with an interesting concept worth upgrading. 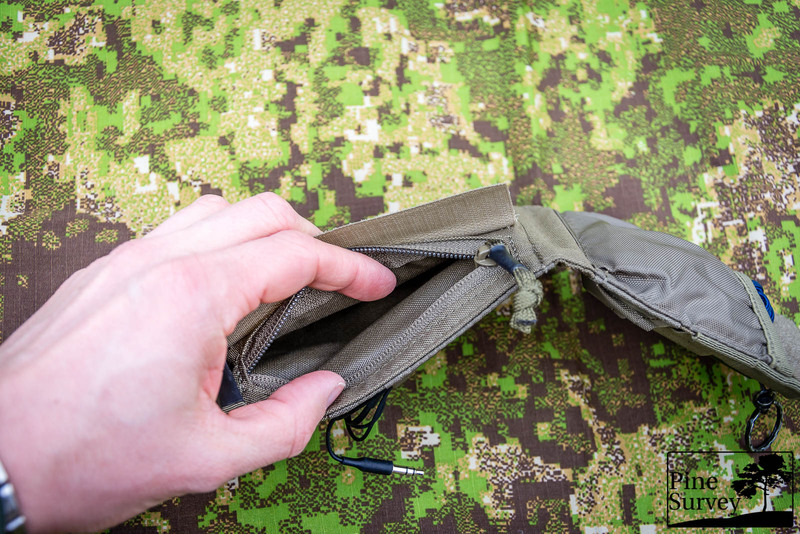 If you leave out the wallet insert and attach optional velcro accessoires to the backside of the interior, you will find the Urban Admin Pouch to be an excellent GP pouch. With that being said I will come to an end. Thank you for taking the time and of course much thanks to Helikon-Tex for providing me with the pouch! Take care, until next time!